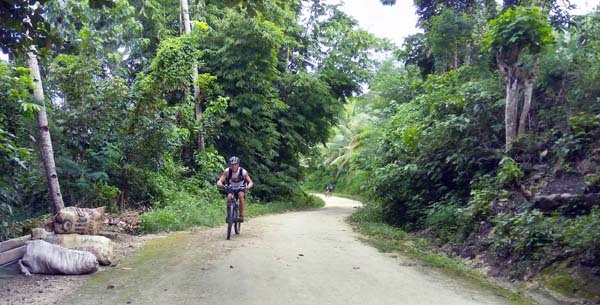 I'd been commuting on a bike, but no hard riding...until Loboc. My landlord, Juan, is a biker but a little out of shape. With the presence of a riding buddy (me! ), he finds new vigor to be back on the saddle. 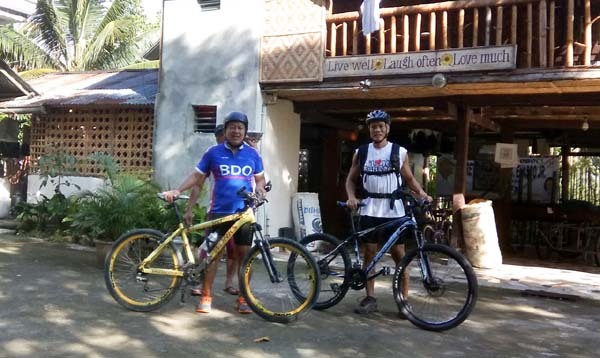 On my first day, we did a 24km gentle ride from Loboc-Sikatuna-Loboc. Nice to do a long ride again. 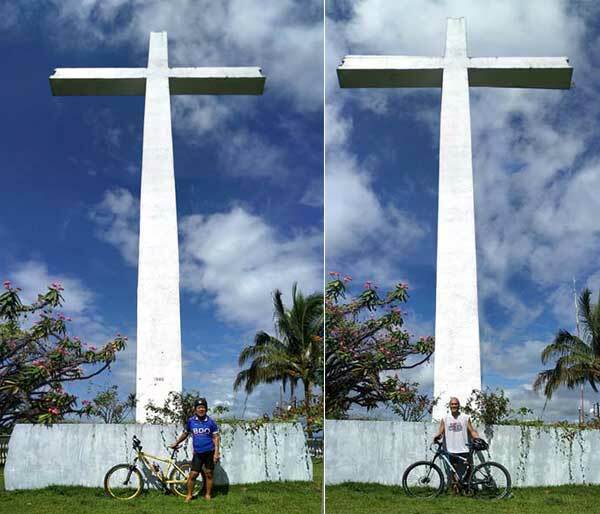 The following day, Juan invited me to ride the summit for the cross looming over Loboc - Cruz Daku! 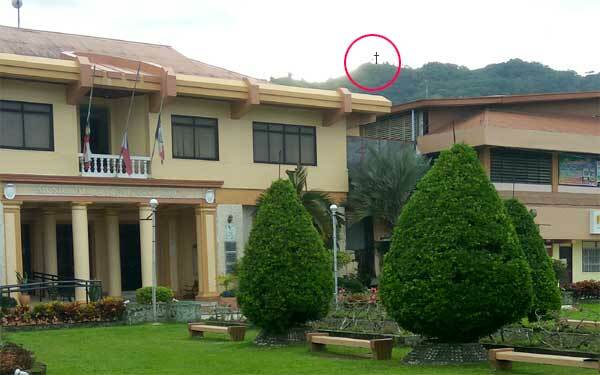 Cruz Daku is a giant 80-foot white cross erected in 1986 on top of Loboc's highest mountain. 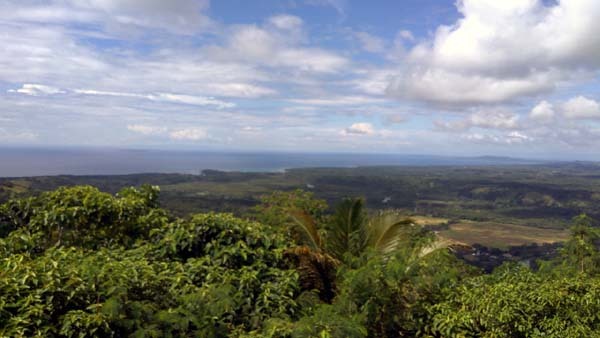 It hovers above Loboc along the horizon with an imposing presence. During Lent, devotees flock in numbers for their annual pilgrimage. From the town base, the mostly-paved trail goes 3 kms on a steep climb - it was brutal. At the outset, the road just went north with very little reprieve. It took us 75 minutes until we got to the top with a few dismounts. There were a few sections of dirt trail but the tail-end leading to the peak was pure dirt riding. Parts of the road were mossy and slippery. The dirt road was gravely with very little traction. It felt exhilarating to be on top in full view of the water and the town of Loboc. Loboc River appeared like a huge serpent snaking its way through the forest. It was hammer-time on the way down along curving roads along a hilly slope. Highlight were some switchbacks where you don't see what's up ahead and you're banking on the turn at speed hoping there's no one on the other side counterflowing. Some dirt section had loose stones and rocks on rutted water ways which made for technical riding. It was all good by the time we reached town. 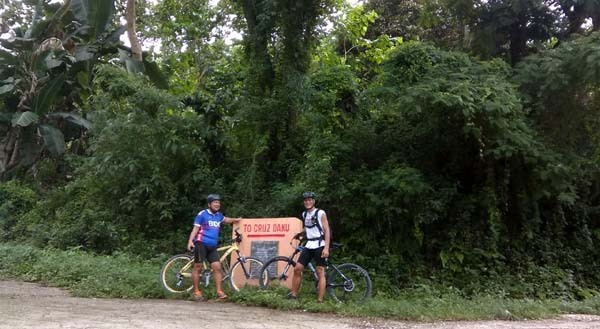 After the ride, Juan talked about a few more trails known only by the locals - waterfalls, the Virgin of Guadalupe, single tracks, river bank trails, etc. Already, another ride has been scheduled the following day. Hmmm...I'm beginning to see why I ended up in Loboc. (Oct 13, 2017) Try trekking from Cruz Dako to Morning Hills. I haven't done that but must be interesting.